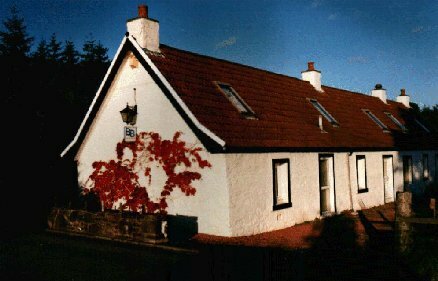 Hillview Cottage is a traditional Scottish Guest House. It is bounded by woodland and fields, with uninterrupted views across to the Gargunnock Hills. Hillview Cottage is uniquely placed for a touring holiday in Scotland, being only 35 minutes drive to both Glasgow and Edinburgh. 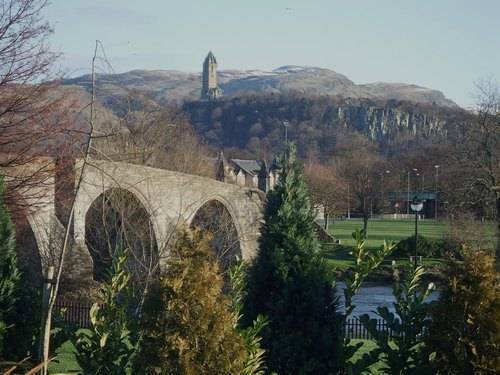 Stirling, with its castle the William Wallace Monument and The Trossachs are a ten-minute drive. Excellent service is tailored to individual needs. We are all on the one level, and given the thick walls and orthopaedic beds, there will not be a more comfortable night in your visit to Scotland. We will cook dinner but only for larger groups and with notice. 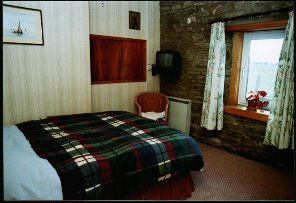 Rooms have light tartan theme with orthopaedic beds and fine weave linen (percale) Rooms all have ensuite showers and toilets, and you will find a serviced hospitality tray. All carpets are 80:20 high qulity wool. All rooms have free wifi access and a complimentary tea / coffee tray. 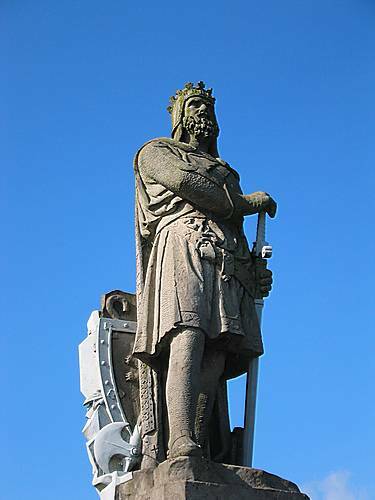 Stirling is probably the most important area in Scottish history. Many of the most important battles in the wars of independence were fought within sight of the castle. William "Braveheart" Wallace and Robert Bruce lived in the area. There are many beautiful lochs, views, walks and sights.... you will not be disapointed. 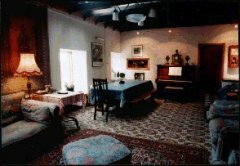 We are very close to Glasgow and Edinburgh, and nearly half the accommodation costs. Travel to these cities by train is a relaxing and interesting event on its own. Many of our guests have even taken the early train to Inverness through the Grampian Mountains, and been back in time for dinner. 2010 rate for double room per person is £29.00. Cooked breakfast, Wifi, parking, ensuite shower and toilet, tea/coffee tray are all included in the price. 5% supplement for credit card payments. Lower rates for family rooms. You will arrive in the area on the M9. Leave at junction 10 and take the A84 towards Callander. Travel for about 8 minutes, and turn left onto the B8075. Hillview Cottage is the first house on the left. Train to Stirling..... taxi to Hillview Cottage in Blairdrummond. Bus to Stirling..... take the service bus 59 to Callander and get off in Blairdrummond at the Thornhill Junction.